Evidence and analysis from the frontlines of pediatric care. 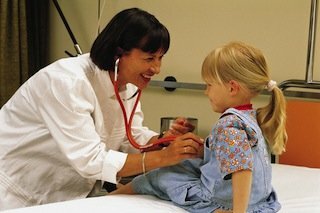 Children’s HealthWatch is a nonpartisan network of pediatricians, public health researchers, and children’s health and policy experts. Our network is committed to improving children’s health in America. We do that by first collecting real-time data in urban hospitals across the country on infants and toddlers from families facing economic hardship. We then analyze and share our findings with academics, legislators, and the public. Our findings help policymakers and the public better understand the social and economic factors that impact children’s health so they can make well-informed policy decisions that can give all children equal opportunities for healthy, successful lives. Children’s HealthWatch currently has pediatricians and researchers located in urban hospitals in five cities across the United States: Boston, MA; Baltimore, MD; Little Rock, AR; Minneapolis, MN; and Philadelphia, PA.
To improve the health and development of young children by informing policies that address and alleviate economic hardships. Founded in 1998 by Dr. Deborah Frank, we focus specifically on the impacts of economic and social factors on very young children. Through our data, research, and publications, we shine a spotlight on the challenges this population faces during the most important years of their cognitive and physical development. As a nonpartisan organization, we set aside politics and focus on presenting comprehensive information about the health and well-being of infants and toddlers from families facing economic hardship. Leveraging the perspective of pediatricians, our research is designed to inform public policies and practices that can give all children equal opportunities for healthy, successful lives.